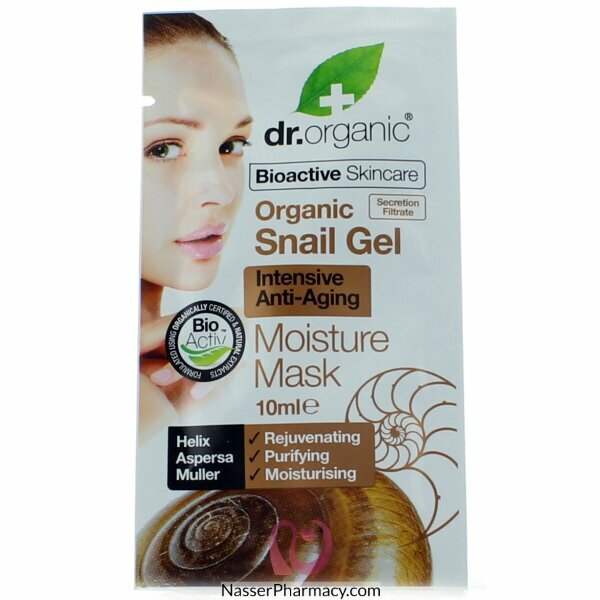 Dr. Organic Snail Gel Moisture Mask contains Helix Aspersa Muller secretion. In combination with our proprietary blend of bioactive, natural and organic oils and extracts, this skin detoxifying and rejuvenating face mask penetrates deep into the pores of the epidermis. This moisturising mask is an exceptional beauty treatment that helps to leave the skin feeling intensely purified, restored and looking wonderfully radiant.